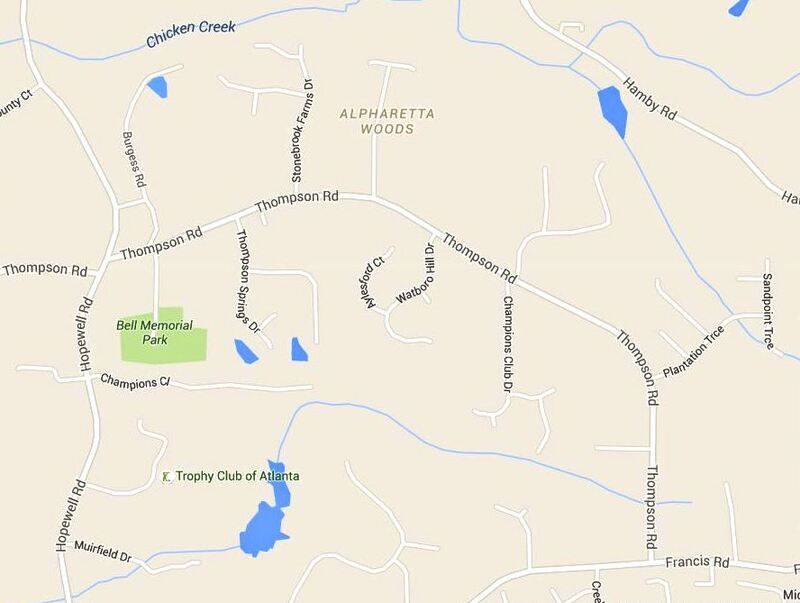 Milton Georgia has a new neighborhood located off of Frances Road and Thompson Rd. in the City of Milton 30004. The Milton new homes community is called Tanglewood Preserve and homes are being built, as I type, by Traton Homes. Priced from the Mid $500’s this Community of 27 One-to-Two Acre Home-sites should be ready to sell this Summer 2016. Homes have options of master on main or on the second floor.There is a plan to have a Nature Preserve on Property with all the surrounding native hardwoods. Exterior features appear to be craftsman to traditional in style and homes will rest on 1 to 1 acres each. Directions / Location– For navigation use 15670 Thompson Road, Milton GA 30004-Take McFarland Road West to Highway 9. Go right (North) to Francis Road. Go straight to first road, Thompson Road. Take this around the bend to this new neighborhood on the right. Convenient to Manor Golf and Country Club, Alpharetta’s Big Creek Greenway, Fowler Park, Bell Memorial Park and Birmingham Park.